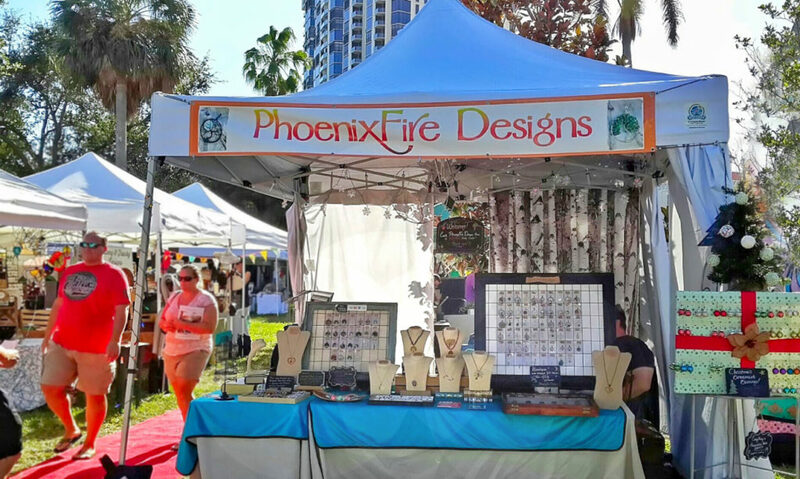 Find PhoenixFire Designs in the Etsy Red Carpet section! All local, handmade and vintage Etsy sellers together in one AWESOME shopping destination. 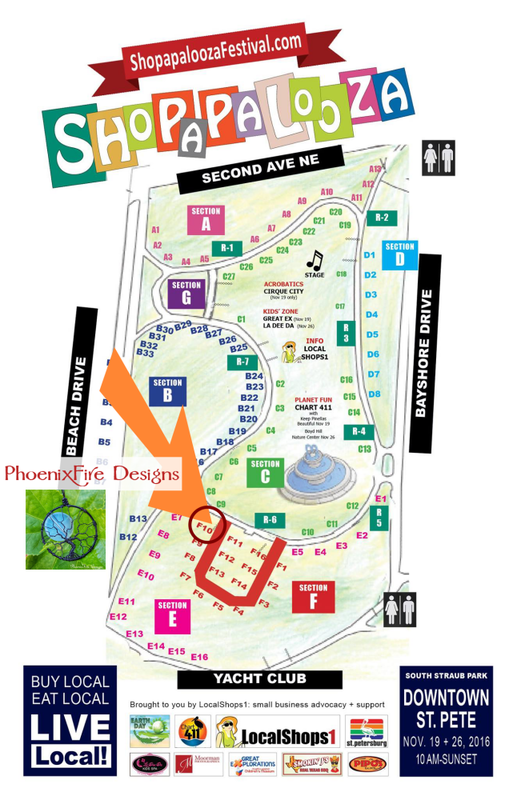 Find PhoenixFire Designs in the Etsy Red Carpet section of Shopapalooza! South Straub Park, Downtown St Petersburg, Saturday November 19th & Small Business Saturday November 26th. Free event, family friendly and pet friendly! 130 local artists, shops, restaurants and food trucks! FAMILY FRIENDLY and PET FRIENDLY event! Support local businesses and Shop Small and Shop Local this holiday season! Not local to St. Petersburg, Clearwater, or the greater Tampa Bay Area? You can always shop our PhoenixFire Designs etsy storefront for all our amazing handmade, wire wrapped jewelry such as our famous signature Tree of Life pendant necklaces, celestial full moon jewelry, wire wrapped pendants, gemstone earrings and more! We ship worldwide and will be accepting Christmas orders through December. Check holiday shipping deadlines for specific dates.